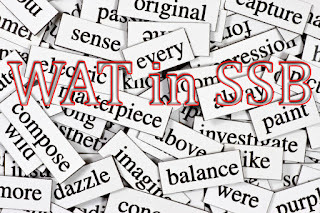 Browsing Category "PRO WAT Words"
Hello Dear Aspirants, I have been thinking of updating my WAT words list for many days, i have been asked by many SSB Aspirants to update more WAT Words for practice. So Today i have prepared 2 Sets of 100 words each, these are repeated words which are asked in latest SSB Interviews. So prepare these words enhance your Psychological Test Skills as these are really going to help you alot on Day 2: Word Association Test. Surprize – Inspector Ramesh’s surprize attack made the culprits to surrender. Camp – Outings and camping relaxes mind and gives new experiences. Easy- Proper planning makes a task easy to execute. Ahead- India’s future is bright ahead. Sacrifice-A team player sacrifice his interests for his team. Happy- Family and friends gives us joy and happiness. Discussion- Discussion leads to understand others better. Satisfaction- Working for country gives utmost satisfaction. Encourage- Team player always encourages his team. System-leader makes a workable and systematic plan. Quick- Spontaneous people quickly adapt things. Judge- P.sathasivam is the Chief justice of India. Women- women are leading our country from the front. Love- Love for country gives strength and optimism. Difficulty- Difficulty serves as an opportunity for a brave man. Duty- Working for the welfare and safety of the country is a duty. Idea- Different ideas help us to find the solution n a short interval of time. Future- Hard work in present gives the best in future. Music – Music gives peace, dedication and determination. Error- Errors are removed by revaluation. Work-Hard work, determination and optimism lead us to our aims. Justice – President appoints the chief justice of India. Charity- Altruist people give charity and empower others. Kindness- Altruists people are Kind and generous. Self control- Self control is the character of a leader. Educate- Education aware and empower us. Exercise – Exercise keeps us physically and mentally fit. Poetry- Poetry fills us with Zeal and enthusiasm. Hard work- A winner always put hard work and dedication in a work. Blood- Blood donation camps help collecting blood. Face- A Brave man always wins over his fear. Snake- Snake poison is used for the manufacturing of medicines. Luck- Luck comes with hard work. Won- Babur won the 1st battle of Panipat. Company- Proper coordination leads a company to greater heights. Attempts- Continuous attempts lead us to our aim. Knowledge- Knowledge becomes the foundation of a great future. Honey- Honey is the outcome of hard work. Tackle- Team coordination helps in tackling a situation. Punctuality- Punctuality is the character of winners. Reaction- Reactions helps to understand others better. Offer- A friendly person always offer help. Drive- Passion, dedication and determination drives us to our goal. 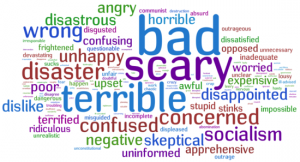 Hello aspirants i am back with a new post about WAT Test in SSB, In this post i will be explaining some tips related to handling negative words in WAT (explained in some books), In WAT test of ssb you will be asked many negative words to check you psychology level and you have to answer them smartly and positively again before starting this post i will say practice more and more words to increase your speed and psychology level. When your reaction to a negative word is positive, it will be easy for you to make a sentence from the word. The tip is to form a positive idea from a negative word shown in the slide. For example- Defeat: - Now when we hear defeat, an image of failure comes to our mind. It is natural but a little practice will help you to change the image out of your mind. Please read out method to write sentences on negative words HERE. Don’t always try to write a positive thing, some things can be written in negative way but still be good. Like for Unemployment, You can write ‘It is the biggest problem of India. You can change the form of the word, like you can make poor as poverty so use this to your advantage. Write short and snappy responses, do not write big sentences. If you are not able to think of anything then simply write your reaction with the positive of that negative word. It is not always necessary to write a full sentence, you can sometimes just write your reaction. Do not spend much time in thinking. Try not to think about the previous word while moving on to the next word. Be very calm and positive throughout the whole procedure. Think randomly of negative words and try thinking of responses as soon as possible. Do not mug up sentences in advance. Make Sentences on these words and send it to me OR you can comment below i will check and provide the feedback. More practice will produce good results. Change : Determined people change the fate. Gandhiji fought for a change in the system. Conduct : Conducting environmental campaigns increases awareness. Class : Food for work scheme helps lower class of society. Class differences are slowly but surely fading. Convince : Confident people convince others easily. Criticize : Positive criticism improves performance. Decide : India and China have decided to improve their relations. Develop : Youth plays crucial role in the development of country. Discourage : Coach encourages team to win the match. Duty : Duty and responsibility goes hand in hand. To perform duty is always joyful. Delay : Doing work without delay shows sincerity. Dictator : Democracy is the answer to dictatorship. Drink : Clean drinking water is essential for public health. Interlinking of revers will provide enough drinking water. Differ : India is a home of different yet unified cultures. Death : The brave soldier died a martyr‟s death. Death of a martyr inspires young blood. Deteriorate : Illiteracy deteriorates a country‟s progress. ASI checks the deterioration of historical monuments. Disagree : disagreement is removed by pragmatic approach. Desire : Indian youth desires for a developed nation. Determined : India is Determined people achieve their goals definitely. Dialogue : Is the only solution of problems like Kashmir. Difficult : Strong people face difficulties bravely. Demand : Talented people are always demanded. Indian brain is demand in the world. Earn : Honesty earns respect. Gandhiji earned respect from countrymen and others as well. Escape : Braves don‟t escape from difficulties. Elder : Is the best inspiration. Good leader examines problem from all angles. Enjoy : Friend‟s company is enjoyable. Friends enjoy each other‟s company. Encourage: Encouragement motivates people, Improve performance. Efficiency : Encouragement motivates people, Improve performance. Enemy : Lively people have lots of friends. Troops fights with enemy will full enthusiasm. Excuse : Strong people never give lame excuse. Fight : Indian army fight with exemplary courage. Fear : Courage removes it. Enemy is fearful of Indian troops. Future : Future of Indian space research is very bright. Upcoming generation is the future of country. Failure: Gives chance to mend the shortcomings. Fair: Is the confidence of multi-cultures. Book fairs draw people from diverse fields. Fellow: Trust and understanding is the bond among the fellows. Follow: Good leaders command healthy following. Friend : Friends help/trusts/understands each other. Is the gift of God. Future : Is good for go-getters. Family : Always stand together. Indians stand together like a family. Flower : Relaxes and freshens from inside. Favourite : Dr. Abdul Kalam is favourite of all Indians. Film : Documentary films educate masses. Is the showcase of creative message. Guard: Defence forces guard the border who full devotion. Girl: Deserves equal opportunities for development for society. Gallant: Gallant mountaineers scaled the peak successfully. Having a goal is a state of happiness. Holiday: Helps to keep mind relaxed. Home: Learning starts from home. Habit: Good habits lead a long way in life. Good habits are inculcated by practice. Headmaster: Takes his institution to great heights. Is the role model for students. Hardwork: Always pays in life. Persistent hardwork in right direction brings positive result. India always gives a helping hand to its neighbors. Hand: India joined hand with others to fight terrorism. Illiterate: Literacy bring prosperity in society. Literacy gives a helping hand to its neighbors. Impossible: Persistence made it possible to reach the moon. Consistent effort make everything possible. Insult: He respects his elders. Gandhiji converted it into motivation, get success. Jump: India jumped to great heights in IT field. Joke: Creates Light-moments in life. Jungle: Is the home to diverse flora and fauna. Is a natural treasure for living being . Joy: Life is full of joy. Caring and sharing removes jealousy. Lose: Strong people bounced back from their loss. Is the sweetest and strongest bond. Leader: Always shows right path to his men. Good Leaders lead their men effectively. Lonely: Company of friends overcomes effectively. Luck: Luck favours those who take initiatives. Great efforts bring good luck automatically. Loyal: Loyalty towards duty/work shows strong character. Language of love is know by all. Logic: Logical ideas are welcomed by all. Mad: Fanaticism is a madness of making. Make: Timely decisions help in making the career. Meet: Meeting regularly creates better understanding. Mend: Mending fences improves relations with neighbors.. Mother: Is an embodiment of faith and sacrifice. Movement: High morale gives momentum to the goal. Necessity: Motivates a man to work hard. Notice: Great deeds are notice by everyone. Obey: Proper command and control brings obedience to orders. Firm and just orders are always obeyed. Opportunities: Wiseman always makes proper use of opportunities. Overcome: One can overcome the hurdles with determination. Self-confidence helps in overcoming difficulties early. Quick: Army Officers take quick and correct decision. Recognition: Great deeds are always recognized. Respect: Good deed are always respected. Responsible: Rank and responsibility go together. Rest: Rest is essential afer handwork. Rights: Rights and duties are co-related. Risk: Higher the risk, higher the aims. Rule: Enforcement of rules and regulations brings discipline. Shy: Shyness can be avoided by free interaction with others. Sportsman: Sportsman spirit helps in winning the match. Stamina: Regular exercise increases stamina. Sports help in building stamina. Struggle: Struggle makes life thrilling experience. System: Systematic approach makes work easier. Team: Team‟s victory depends on each ones efforts. Temper: Short tempered people create more enemies than friends. Thank: Thanking people cost nothing. Tired: Short break after handwork avoids tiredness. Understand: Friendship in based on mutual understanding. Uniform: Gives pride and unity. Union: Mutual understanding brings unity in a team. Victory: Sincere efforts leads to victory. War: War is not the solution to human problems. Worry: Hurry and worry brings diseases only. Young: Young performers are goal oriented. Youth: Youth alone can built society. Zeal: He plays with Zeal & Josh. 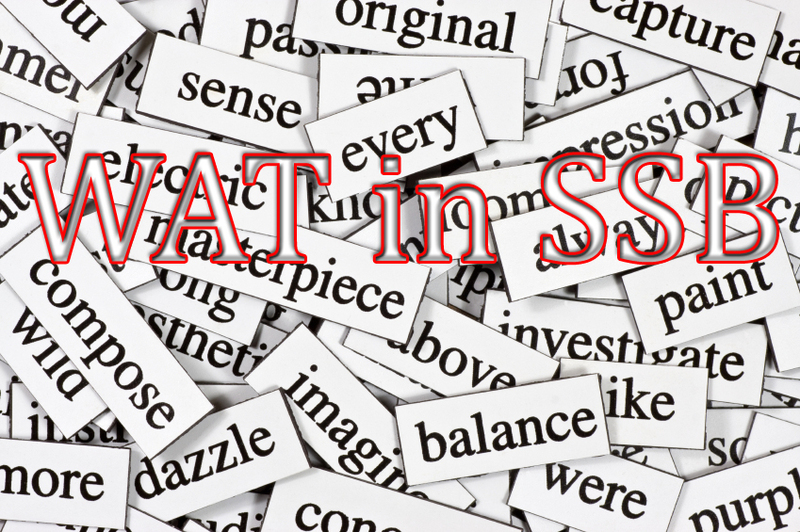 What are the WAT words you have faced in SSB interview? Write your responses in the comment box below.